548 pages | 26 B/W Illus. 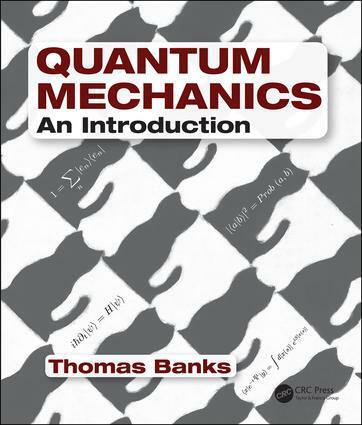 This authoritative, advanced introduction provides a complete, modern perspective on quantum mechanics. It clarifies many common misconceptions regarding wave/particle duality and the correct interpretation of measurements. The author develops the text from the ground up, starting from the fundamentals and presenting information at an elementary level, avoiding unnecessarily detailed and complex derivations in favor of simple, clear explanations. He begins in the simplest context of a two-state system and shows why quantum mechanics is inevitable, and what its relationship is to classical mechanics. He also outlines the decoherence approach to interpreting quantum mechanics. Provides a thorough grounding in the principles and practice of quantum mechanics, including a core understanding of the behavior of atoms, molecules, solids, and light. Utilizes easy-to-follow examples and analogies to illustrate important concepts. Helps develop an intuitive sense for the field, by guiding the reader to understand how the correct formulas reduce to the non-relativistic ones. Includes numerous worked examples and problems for each chapter. "This is an excellent textbook and an extremely useful reference. It addresses both simple and complex issues from a modern perspective, while being pedagogical and accessible. The author is an accomplished and famous researcher. Here he shares his deep insights about quantum mechanics in a very powerful and fresh way. Beginning students and senior scientists will benefit from it." "Provides remarkable insights into technical aspects of the subject, but also into the most basic conceptual questions which trouble both new students and more mature researchers"
Thomas Banks is a theoretical physicist at University of California, Santa Cruz and a professor at Rutgers University. He earned his PhD in physics from the Massachusetts Institute of Technology, and has been a visiting scholar at the Institute for Advanced Study in Princeton, New Jersey. Professor Banks is the recipient of a Guggenheim Fellowship and is an elected member of the American Academy of Arts and Sciences.